Protective covers and stowage equipment designed and built by Tulmar are in service on Canada’s fleet of LAV and Bison armored vehicles and other military vehicles in North America and abroad. We use high performance fabrics produced to military specifications and the latest in bonding technology to enhance water resistance and extend product life. Through decades of experience building components for vehicle prime contractors, we’ve gained the expertise to develop products for manufacturability and performance. 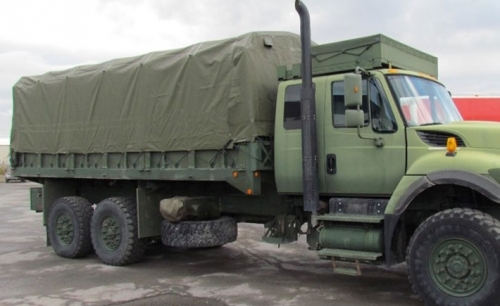 That’s why Navistar Defence contracted us to provide tarpaulins for the MSVS MILCOTS truck sustainment program. With their initial supplier no longer in business, they needed a company with proven capabilities to support their aftermarket requirements. Tulmar developed replacement tarpaulins that incorporate product improvements — better fit, more secure attachments and increased abrasion resistance. Anti-Corrosion Technology – Tulmar is the exclusive licensee in Canada for TranshieldTM corrosion mitigating fabric that can reduce corrosion on equipment by up to 95%. Covers constructed with this technology are made to withstand nature’s most aggressive weather and have proven to protect in the harshest environments, keeping equipment mission ready at all times. 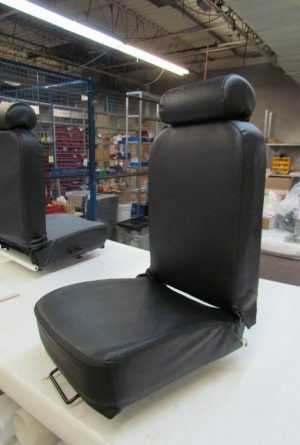 Tulmar fabricates seat assemblies for military vehicles built to OEM specifications, complete with multi-point seat belts. 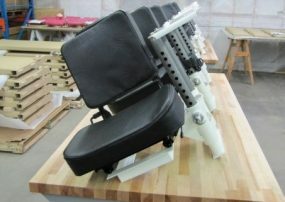 We deliver turret seats, driver and commander seats, gunner seats and more. Our seat cushions incorporate ballistic fabrics and high-memory foam for comfort and durability. All cushion materials meet FMVSS 302 requirements for flame resistance. 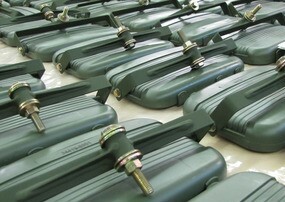 We also develop custom seat solutions for new applications. 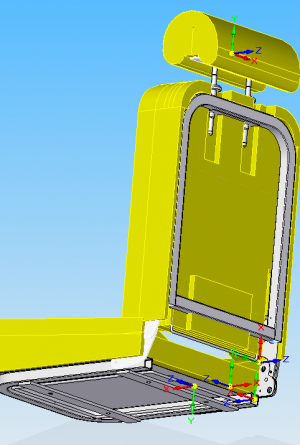 We carry out prototype development and conduct comprehensive compliance testing including FMVSS 207 load testing and FMVSS 210 seat belt anchorage testing. Seat Restraints – Tulmar can supply a variety of seat restraints, from simple lap belts with single point release to multi-point restraints with retractors and quick release rotary buckles. Through our association with AmSafe Defence, a world leader in personnel restraints, we can provide seat belts that incorporate the most advanced technology to protect military personnel. Tulmar provides sourcing, fabrication, assembly & kitting of vehicle components for prime contractors seeking an integrated solution for program deliveries. 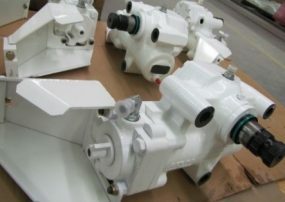 We deliver seat systems, mirrors, steering assemblies, vehicle seats, fuel tanks, hydraulic tanks, utility cabinets, sight synchronization kits, and more for major crown projects such as LAV and TAPV. Our clients depend on us to overcome complex logistics, reduce costs, shorten lead times and deliver high-quality parts on time. This product integration service grew out of a desire by one of our key customers to outsource the manufacturing of vehicle sub-assemblies. Tulmar took on the management of the existing fabrication supply chain for these components and brought final assembly in-house. Our certified weld engineers managed the weld qualification process, resolved quality problems and developed new suppliers where needed to increase capacity. 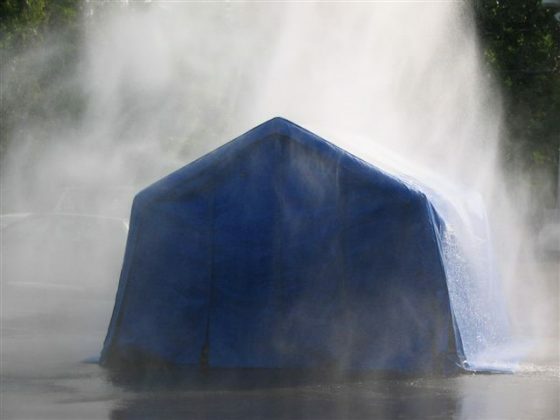 Tulmar designs and builds soft-walled shelter components for government and OEM clients and a line of inflatable shelters designed for rapid deployment. We use technical textiles that incorporate signature reduction properties and the latest in joining technology to deliver products that meet the specialized needs of military end users. 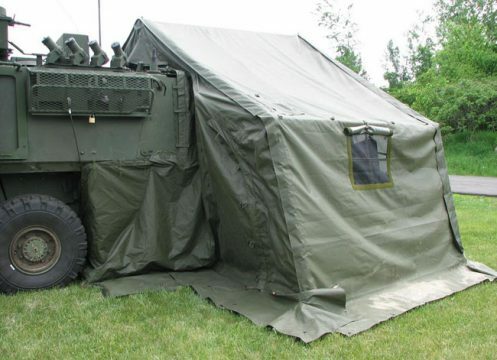 We have proven expertise in the development of vehicle interfaces that allow shelters to be connected to armored vehicles to create mobile command posts. Inflatable shelters – Tulmar inflatable shelters include features that make them ideal for use as stand-alone command posts or to control access to command post vehicles. Translucent roof panels act as skylights providing natural light for daytime operations without the need for windows which could compromise privacy. 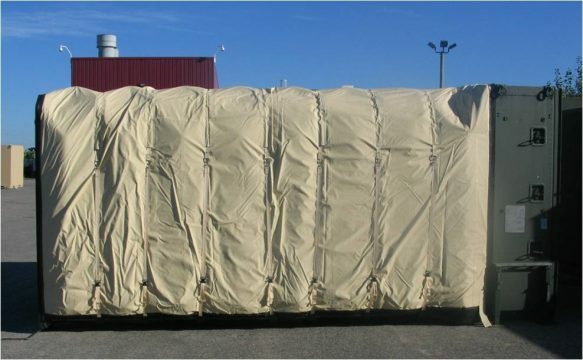 Optional blackout curtains are available to provide concealment for night operations. We provide interconnect panels that can be used to join shelters of the same size end-to-end or to join 12 ft wide shelters to 15 ft wide systems. Canopy interconnect panels incorporate a watertight zipper system allowing the shelter system to be used in any configuration regardless of weather. 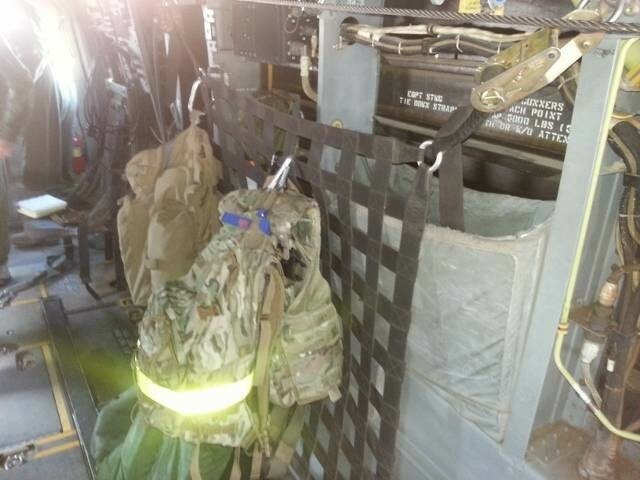 Tulmar manufactures straps, tie-downs and nets for secure stowage aboard military transport. We use only certified components and test our assemblies in-house to ensure they meet specified strength requirements. Our tensile tester can test up to 10,000 lbs to verify the strength of assembly of our tie down equipment. 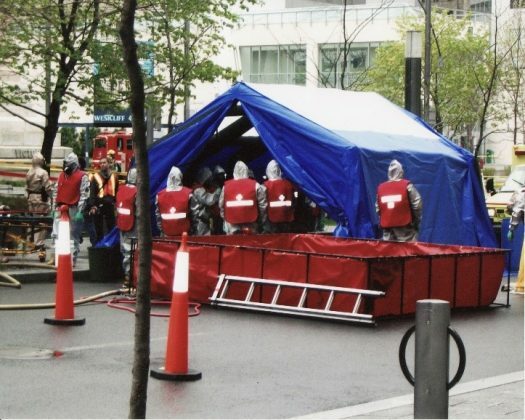 Read our blog post on cargo containment solutions. Tulmar developed this side-wall cargo net for US Special Forces. Qualified by NAVAIR, the net is constructed from nylon webbing with adjustable ratchet buckles. It provides an inexpensive, simple solution to deficiencies in the CV-22 cabin, allowing more efficient loading and stowage of items typically carried in the cargo compartment.